The Casa & Family Diaper bag is extremely nice. 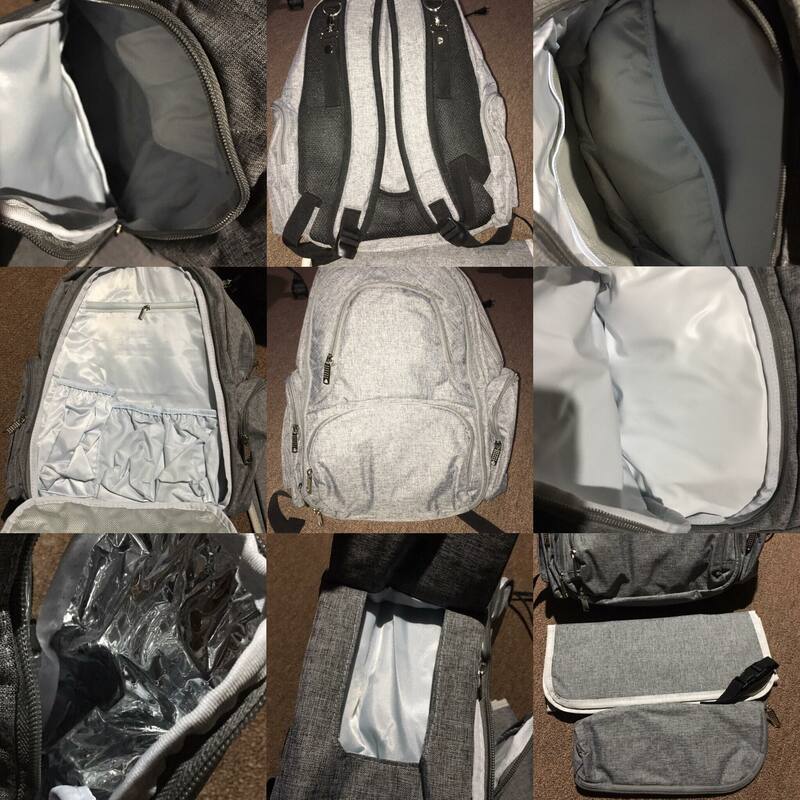 It’s spacious, has tons of pockets and room, is super comfortable to use, and it’s made extremely well. 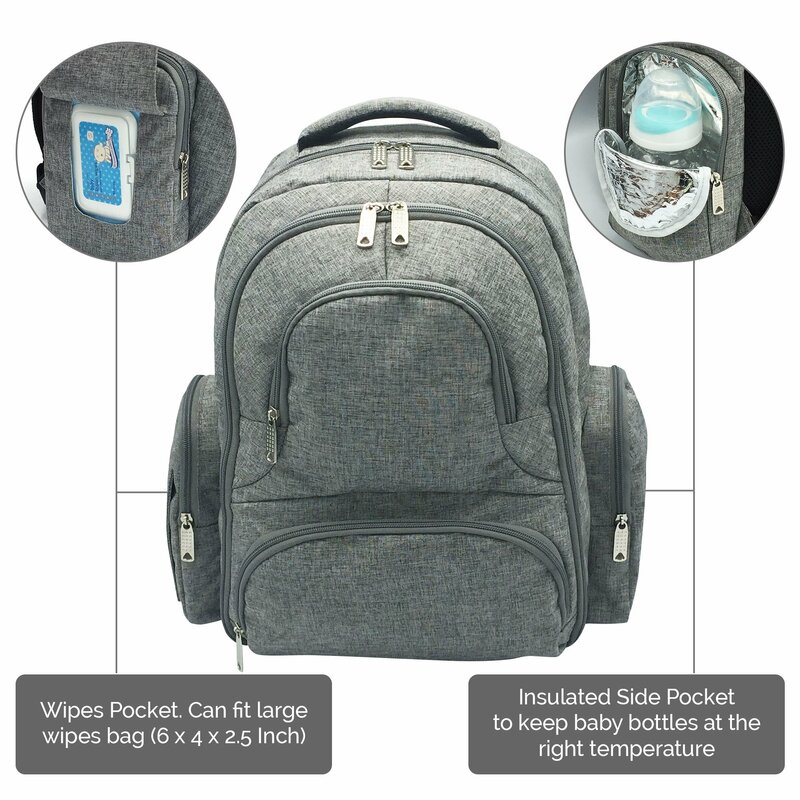 If you carry a ton of stuff this diaper bag is a great option. It has pockets and space for everything you would possibly need. I really love that it has a waterproof compartment. 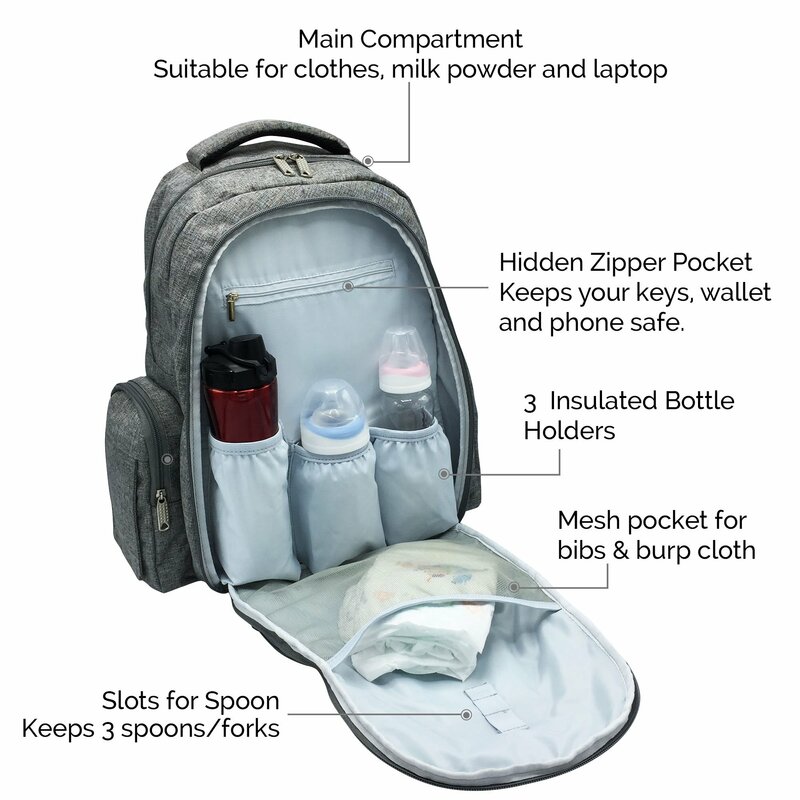 This bag has plenty of room for diapers, bottles, clothes, and even comes with a changing pad and removable insulated bottle sleeve. 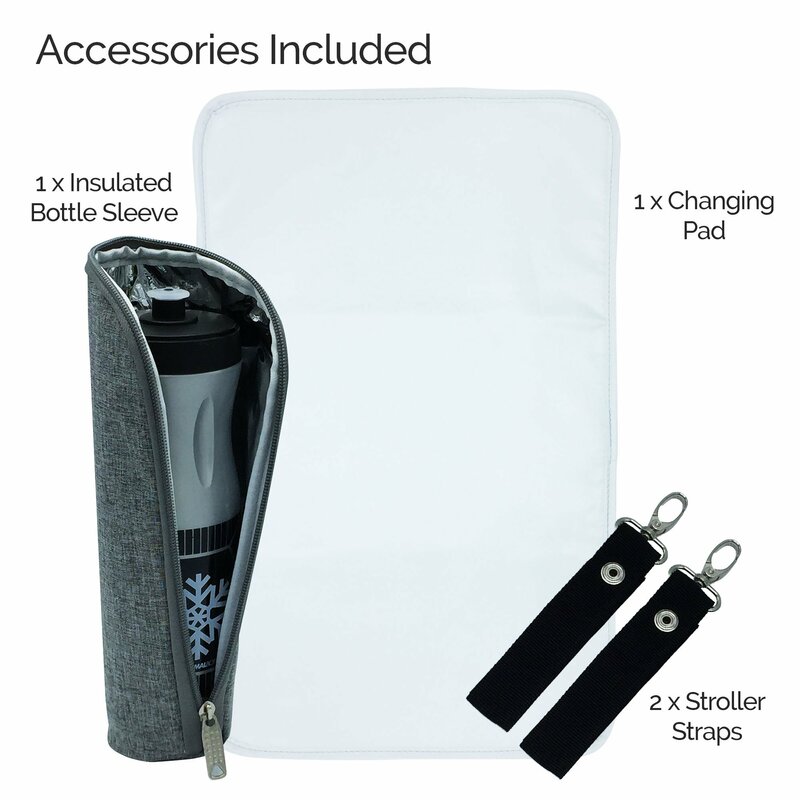 Not only does it have an insulated removable sleeve It also has 4 insulated pockets. 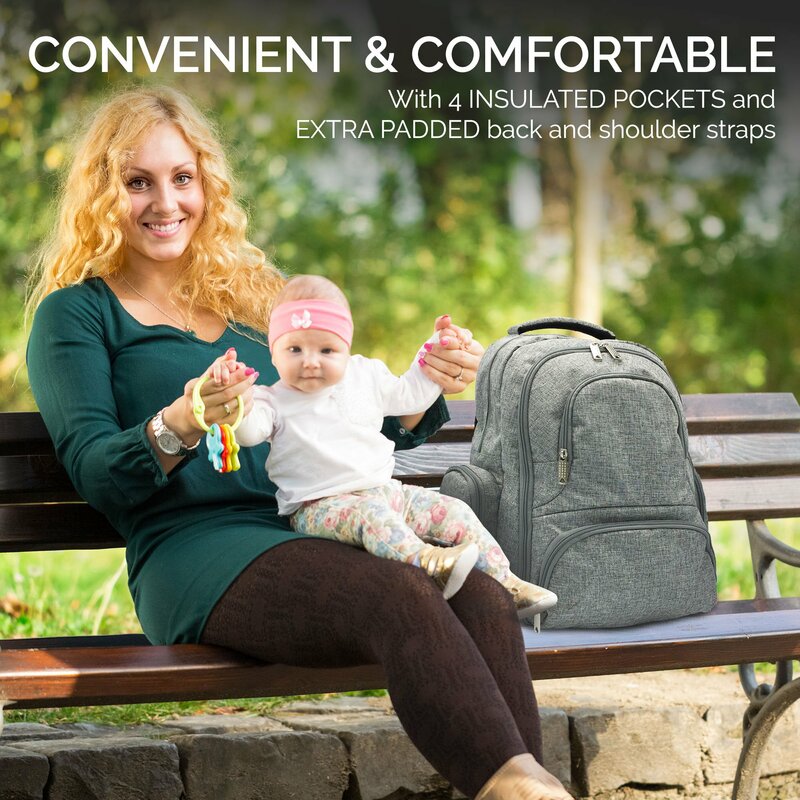 Another nice feature are the stroller straps, which also secure with Velcro for peace of mind. 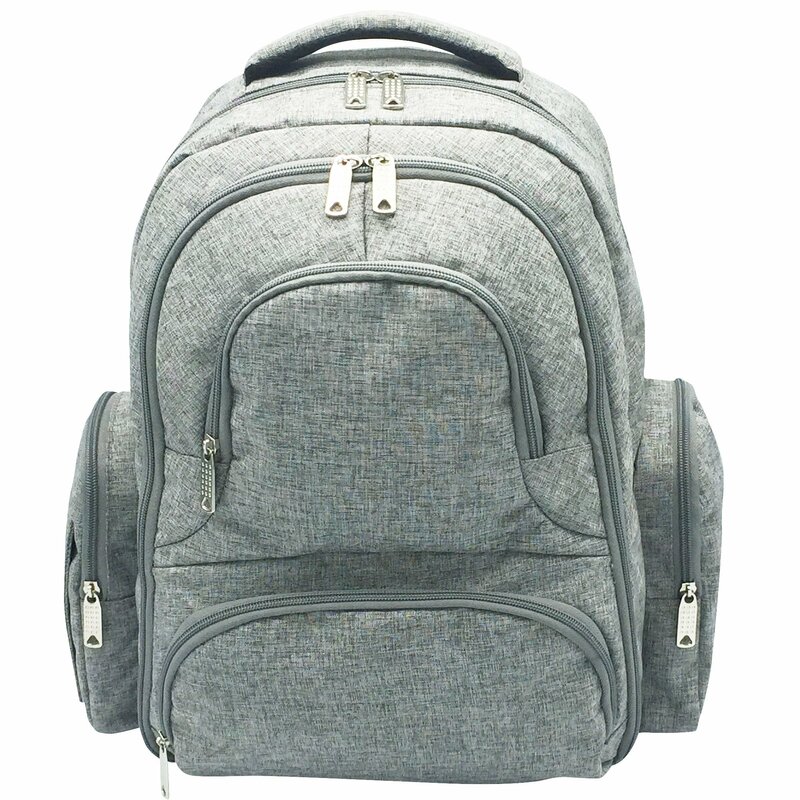 The straps on this bag are really nicely padded which makes this bag super comfortable to carry. Even the carrying handle is padded. 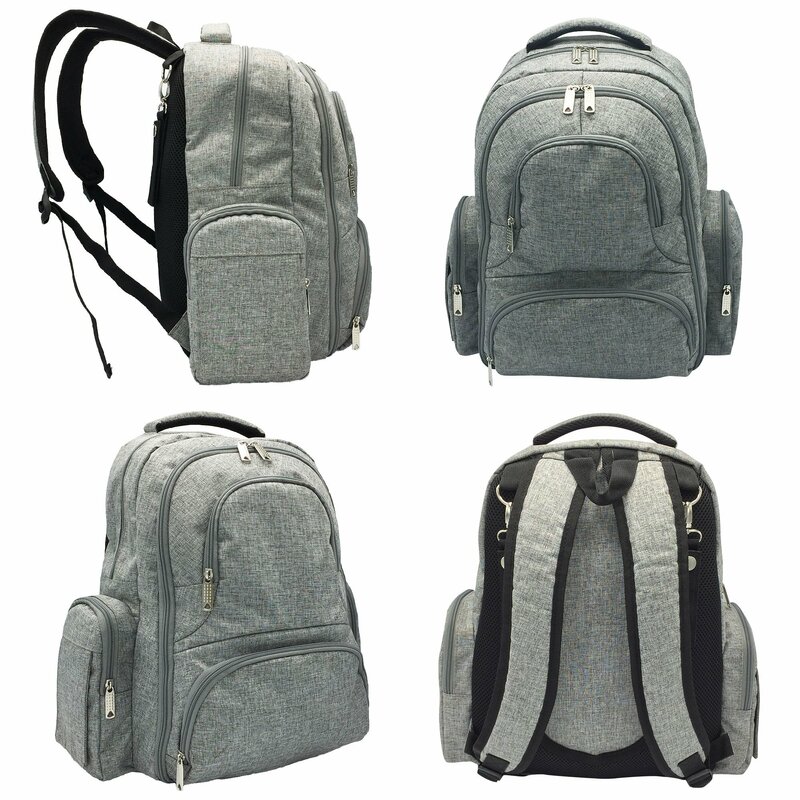 The design and color of this diaper bag are perfect for both Men and Women to carry and work with any gender. I’m extremely impressed with the quality, functionality, and design. 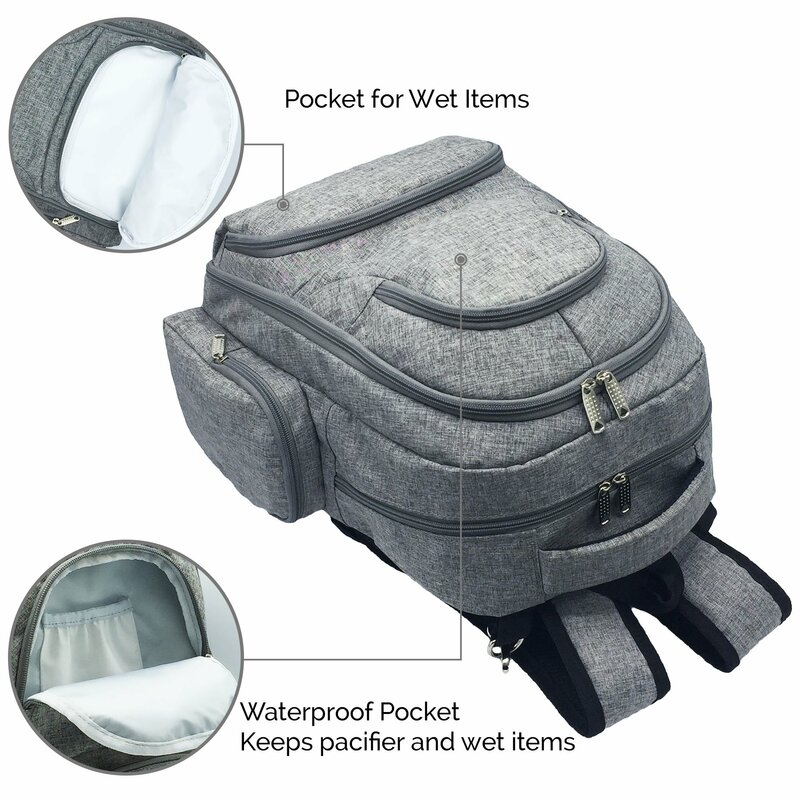 The construction of this bag is very nice, the material seems strong and wipes clean easily and the zippers are also very sturdy and heavy duty. All in all, this is a really nice, roomy, well-made bag. I really like it and I would absolutely recommend it.